HTTPS Encryption - What is the impact of TLS/SSL on Rankings? We have made a new analysis of HTTP vs. HTTPS and it seems as using a secure connection could be an advantage for webmasters in different perspectives – both from the point of SEO and to user-trust-signal it conveys. In August 2014, Google announced the secure connection to be an official ranking signal. Our recent analysis now shows positive effects for the first time: Websites without a secure connection could gain a few percentage points in SEO Visibility when migrating to HTTPS-protocol. The unmistakable statement from Google concerning secure connection was a surprise and not only for me. It’s very rare they state an aspect to be an official ranking signal. In the beginning, Google takes the encryption as a lightweight signal, they said, which affects just around 1% of worldwide search queries. But in the future, they may change. 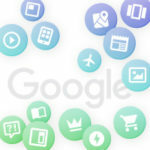 Google has been doing a lot of work to increase security in the web in the recent past. I don’t want to talk about the kind of reasons Google may also have despite their altruistic argument of web security. I prefer to draw conclusions from the data we analyzed. Just after the announcement from Google, we already had a look at our data and analyzed whether there are any measurable effects between rankings, HTTP and HTTPS. But in August 2014 we had to deny the question if webmasters could gain a boost in SEO Visibility when migrating to HTTPS. The fluctuations in visibility couldn’t be considered as significant. Background: What is TLS/SSL & HTTPS? The common protocol that provides a secure connection when accessing a website is TLS (Transport Layer Security), the previous versions are also known as SSL (Secure Sockets Layer). It is important to understand that you don’t encrypt a website with TLS/SSL, but you encrypt the connection. A TLS/SSL certificate is used to correspond to a static domain via a session key that encrypts the data flowing between server and client. In contrast, usual HTTP website traffic is unencrypted. Each server that your traffic flows through on the way to the website’s server can read that data. This is how analytics tools get the keyword query, for example, if a website you visit uses HTTPS, the data is encrypted, so in theory only you and the website you visit can see what you’re doing on that website. For analyzing a correlation between encryption and visibility, we looked at the average rankings of HTTP and HTTPS – on a URL basis, directories respectively. Sometimes only certain domain areas can be encrypted and others may not. This analysis is based on URL-rankings for 30.000 keywords we observe continuously since August 2012. 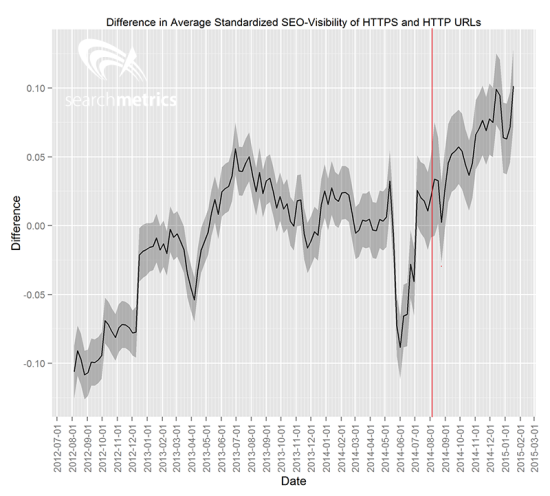 Short explanation of the graphic: The black line represents the difference in standardized, average SEO Visibility of HTTPS- vs HTTP-websites; the shadowed area is the confidence interval of 99%. Since Google has announced the HTTPS to be a ranking signal in August 2014 (red vertical line), the black line tends to climb higher and higher. In other words: The advantage we measured regarding the coherence of SEO Visibility and HTTPS-encryption is now statistically significant. Now, let’s take a closer look at domains with HTTPS in different branches. We want to pick out some examples – and their gain in SEO Visibility that might have achieved through encryption. The apple.com-landing page for iPhone had a SEO Visibility of 23.436 on January, 18th. It can be said that 5% of visibility is probably due to encryption. Also, HTTPS-sites from brands like Spotify or Microsoft increased visibility. These numbers could give you an impression about the possible impact of encryption for SEO Visibility. In summary, we can assume a positive correlation between encryption and SEO Visibility regarding our data. Our statistic experts reduced all other influences as far as possible, but we cannot exclude other influencing factors entirely. This is due to the high-complex algorithm of the search engines which includes hundreds of ranking signals, therefore you cannot distillate one factor in total. As I already mentioned, a lot of brands with HTTPS-websites increased visibility. That’s why it has to be considered that not only encryption is responsible for visibility increase. Google tends to rank brands higher, especially after some updates in the recent past, for example the Brand/e-Commerce “Update”. We already analyzed the correlation between brands & rankings in our studies; for more information on this topic I would like to refer to our study “Ranking Factors 2014”. We also studied some examples of not-encrypted URLs and measured the possible increase in visibility by migrating to HTTPS. As a result, we can say that the potential is up to 5 percentage points. Since the Google-announcement regarding HTTPS as a ranking signal, we can state that encrypted websites could gain in visibility, if they have already a bit of visibility. A growth of a few percentage points in visibility is possible, but not guaranteed. While the implementation of TLS/SSL cannot guarantee an increase in visibility, the gain in user-trust is obvious. Because of the green name & key in the brower’s URL-bar, the encryption is a signal of trust for users. Possible effects of this trust-boost can be a decrease in bounce rate, whereas the conversion rate could rise. And the better the user signals, the more positive the effects in Google rankings. 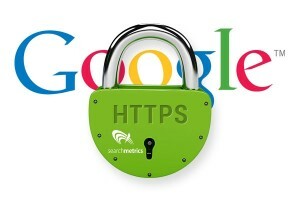 However, several webmasters reported a loss in rankings and traffic after migrating to HTTPS. This could be a reason for many to avoid the efforts of encrypting their own web project. It has to be noticed that implementing HTTPS is associated with a lot of work – as an example, just take the clean redirection of every URL. 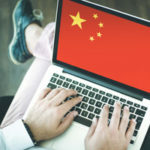 That’s why Google announced to give webmasters sufficient time for migrating their site to a secure connection. 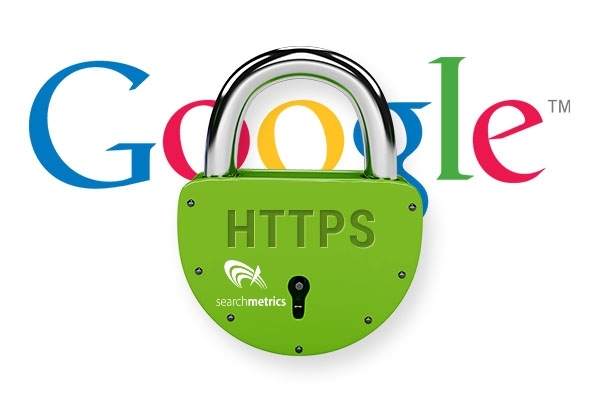 In August 2014, Google announced that HTTPS-encryption would be a ranking signal for websites. At first, it was declared as lightweight signal, but Google also said, in future times they “may decide to strengthen it”. Official reason is the web security. Now we noticed a statistically significant difference in SEO Visibility between HTTPS- and HTTP-websites. 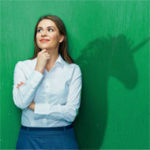 The bigger & more visible the web project, the more likely there will be an increase in SEO Visibility by a few percentage points having secure connections. The positive effect isn’t guaranteed. 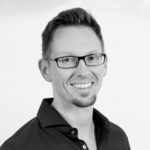 A migration to HTTPS-encryption could be relevant especially for transactional branches and / or brands. 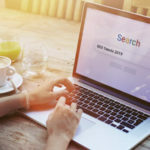 Despite a possible increase of SEO Visibility, it is a signal of user trust – and therefore for search engines as well. The green HTTPS-elements in the browser’s URL-bar can increase trust & conversion rates and decrease bounce rates. After migration, some webmasters reported a decrease in rankings and traffic. The implementation is technically demanding and should be done with care. This is why Google gave webmasters time for migrating to a secure protocol. Informative blog, but this is a big truth that SSL is effecting rankings in SERP. There will be a huge contradict between existing http and new https pages. In that case a 301 redirection is must and can effect organic search result of existing page with good rank…. I just make a change from http to https but my ranking drops why? Thanks for sharing this article I will make a change from http to https. Very informative blog, but I am a little bit confuse in the SSL certificate. If I purchase it for this year and drop this certificate on the next year, then my ranking will effected? Here is I want to do one question that if I use SSL then my ranking effected? It seems to increase my organic traffic after using SSL on my blog.